Now that you’ve finally got an excess of Legendary Marks, it’s time to start thinking about what weapons you might want to buy from the Tower vendors. These weapons come ready to go, straight out of the box. An Answering Chord comes with a strong range stat of 54 – good for its archetype. Feather Mag will reduce magazine size for faster reloads, but paired with Feeding Frenzy, reloading will happen faster than you could blink in Vanilla Destiny. Injection Mold offers some stability in lieu of range, but Snapshot is also a strong perk for Crucible play. Bonus: SRO-41 scope highlights Guardians with charged Supers and powerful minions of the darkness. This set of perks makes the heavy-impact 1000-Yard Stare a serious boss killer. Triple Tap returns a round to the magazine for rapidly landing precision shots, and Mulligan has been buffed since Year 1. Combined with Perfect Balance, this roll makes sure you’re offering more than enough DPS when fighting bosses like the Warpriest and Golgoroth. This is also the only high-impact (revive snipe capable) sniper available for purchase (The Taken King questline offers a very solid PvP roll on a free 1000-Yard Stare). Hawksaw is a low-impact pulse rifle with some good base stats like 72 stability and a reload speed of 80. High Caliber Rounds can be handled with that kind of stability, and will keep enemy Guardians staggered well enough to get shots off. Snapshot or Smallbore can be selected based on preference – some like the quick ADS time of Snapshot, but the increased range and stability might appeal to others. It’s always great to have choices. A very balanced hand cannon, Byronic Hero will be perfect for clearing rooms full of enemies with a higher impact from Surrounded. 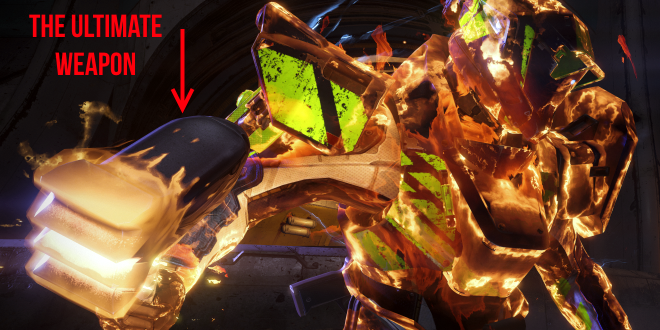 2.0 noticeably impacted the range of hand cannons, making Hammer Forged that much more important. Third Eye will help track down those enemies so you can move the next checkpoint quickly. On top of all of that, this gun looks sick. Crowd Control and Feeding Frenzy make for a deadly combo on the Havoc Pigeon. Killing an enemy will result in faster reload speed so you can get to the damage bonus from Crowd Control faster. The Hakke special weapon comes with a bonus intrinsic perk of improved muzzle velocity, making this gun the sidearm to have. If you’re looking for a sniper rifle, the Tao Hua Yuan will treat you well. House of Wolves proved that Hidden Hand is very helpful on snipers, and having more grenades never hurt anybody (save for Cabal, and Fallen, and the Hive, and Taken, and the Vex. Oh and other Guardians in the Crucible). Hand-Laid Stock will make landing multiple hits a breeze. New Monarchy’s hand cannon comes with a pair of perks that will insist you stay alive. Underdog boosts range and handling when health is low, and Life Support offers a chance at health regeneration when critically wounded. This means you can stay focused on finishing off an enemy, then come out safe and sound with your shields recharged. If you feel so inclined, get a big boost to range by sacrificing stability with Reinforced Barrel. Otherwise stick with the larger magazine. The Burden of Proof is what you want in the trenches. It’s full auto, and gains a boost to range and handling when health is low. Basically, don’t stop shooting. Single Point Sling will have you forging a path quickly – you might want the increased range boost from Rifled Barrel, but be prepared to find a safe spot for reloading often. Objection IV is ready and waiting for you to grab it and fight some ultra enemies. This thing is made to take down bosses with Persistence (more accuracy with continued fire) and Counterbalance keeping you smooth and stable. Sacrifice some stability to get some serious range out of either Reinforced Barrel or Field Choke, and go to town on some yellow bars. With the 2.0 balance to auto rifles, the weapon archetype is meant for close quarters combat. The Paleocontact’s base stats don’t really shine, but this vendor roll allows it to combat the main weakness of auto rifles: range. With Rangefinder and Reinforced Barrel, this auto can really go beyond the standard for this kind of primary. Third Eye is a solid perk for both PvE and PvP activities. With high range, stability, and reload speed, the Hung Jury has some of the best base stats of any legendary scout rifle in Year 2. Sacrifice some range for stability with Hand-Laid Stock and this scout won’t move an inch when shooting. The Hung Jury also offers versatility with Firefly for PvE activities and Underdog (boost to range and handling when health is low) for the Crucible. The Hitchhiker comes with a set of perks that will save your life when it matters most. If you’re tasked with defending an area in a raid, this is your gun. With max impact, giving up a slight amount of damage for some faster charge times with Accelerated Coils is well worth it, and Danger Close coupled with Life Support means that when things get dire, the Hitchhiker will pull you out safe. There are no weak links in Dead Orbit’s selection. This shotgun has a near-perfect roll that can do well in PvE and PvP. The Vertigo is a standout with the best overall base stats of any rocket launcher available for purchase. With Hard Launch and Javelin, the important stats like Velocity and Blast Radius are improved even further. Most importantly, Grenades and Horseshoes is a must-have for any PvP use. The Villainy is built for range. With Third Eye, you should be able to locate an attack a target before they’ve even gotten close. The gun has a base stability of 60, and Smallbore makes those distance shots smooth as silk. You’ll stay well out of danger’s path with this gun. You miss your Fatebringer, huh? Well The Vanity has got you covered. Firefly on a Hand Cannon is what made Fatebringer one of the most sought after weapons in Year 1. You’ll want to sacrifice some range with Oiled Frame to improve reload speed – with a mag size of 8 you want to keep the shots coming, but have a greater chance at proc’ing LitC. This thing will tear through minions just like Fatebringer. There are many new and exciting weapons for sale in the Tower, and what you ultimately spend your Marks on is up to you. Make sure to inspect everything available and find what works best for you. If you have any rolls of your own that you want to share, please let us know!